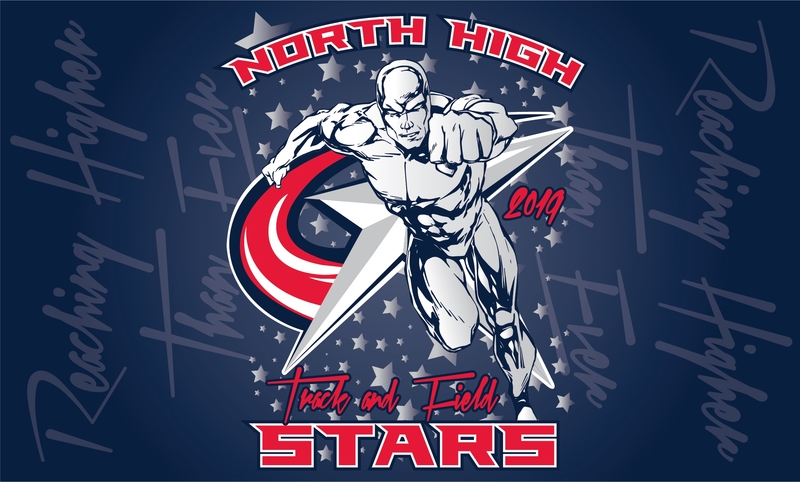 2019 North High Track and Field Reaching Higher than Ever! Last day to order!! Web store will close at 11:59 p.m. on Thursday, April 4, 2019. Athletes and their families can get this year's track and field apparel on this web store. The web store will be open until 11:59 p.m. on Tuesday, March 12, 2019. (Was reopened for 2nd round of orders) Please pick LOCAL PICK UP when you check out for your order to be delivered directly to school. If you choose the $8.99 shipping option your order will ship directly to your home. If you have any questions please contact Lisa at Get Branded 360 at 712-546-4911.